US complain Russians do not let them dominate the Middle East!!! 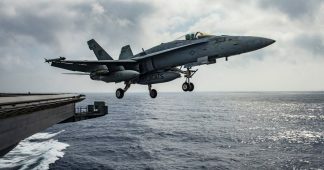 The US is seeking to contain Iran’s rising influence in the Middle East and fend off challenges to Washington’s hegemony posed by Russia and China, the top general commanding US forces in the region told Congress. General Joseph Votel, head of the US Central Command (CENTCOM), briefed the House Armed Services Committee (HASC) on Tuesday on the efforts against Islamic State (IS, formerly ISIS/ISIL) and the wars in Syria, Afghanistan, and Yemen. All of which fall under the purview of CENTCOM, “the only geographic combatant command executing active combat operations,” Votel pointed out. 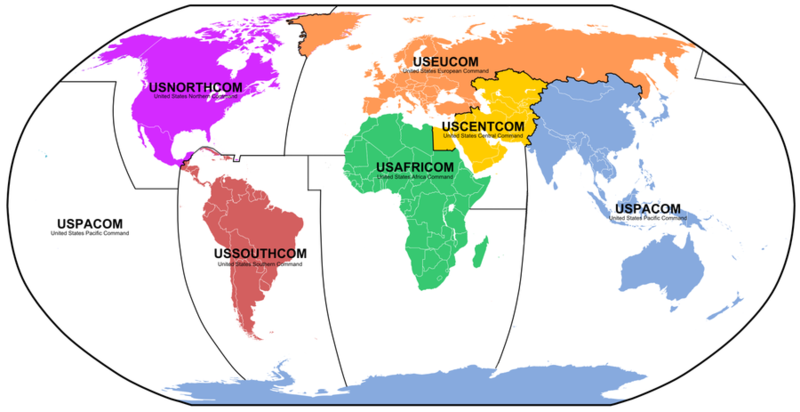 The US has partitioned the globe into six combatant commands. Under this arrangement, CENTCOM’s area of responsibility extends from the Libyan border with Egypt to Pakistan’s border with India, and from Kazakhstan’s border with Russia to Sudan. From Votel’s 45-page prepared testimony, it was apparent that the US regards Iran as the biggest challenge in the region, followed by Russian and Chinese efforts to chip away at Washington’s hegemony. 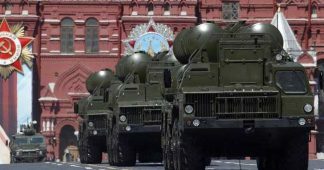 “An increase in Russian surface-to-air missile systems in the region threatens our access and ability to dominate the airspace,” Votel complained at one point, discussing Syria. Unlike the US forces present in that country, Russian forces are in Syria at the invitation of the government in Damascus. Votel argued that the legal basis for the presence of US troops was the “collective self-defense of Iraq” from IS. “The principle reason we are in Syria is to defeat ISIS, and that remains our sole and single task,” Votel told the lawmakers, echoing last week’s remarks by President Donald Trump. Votel made no acknowledgment of any role Russia’s intervention in Syria has played in the demise of IS. 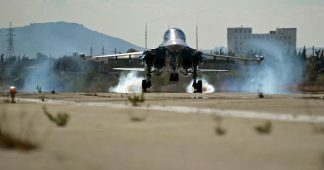 Rather, the general had some harsh words for Moscow, accusing Russia of playing “arsonist and firefighter,” fueling the conflict in Syria and then “claiming to serve as an arbiter to resolve the dispute.” As Votel explained, Moscow was offering diplomatic alternatives to “Western-led political negotiations” in Syria and Afghanistan. Russia’s influence in the Central Asian countries that were formerly parts of the Soviet Union is “problematic,” as that could “limit US engagement options” and endanger NATO’s supply lines into Afghanistan, Votel said. 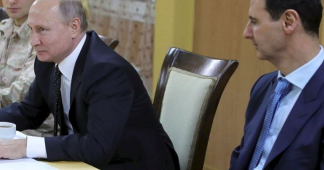 The general described Russia and Iran as “historic rivals” who nonetheless share interests, “including an overarching desire to sideline, if not expel, the US from the region.” The Russian and Persian empires did fight a series of wars over the Caucasus from 1651 to 1828. Iran was an ally of Washington from the 1953 CIA coup to the 1979 Islamic revolution, at which point the two countries became bitter enemies. This is reflected in Votel’s testimony, in which he refers to common Washington tropes about Iranian imperialism and the “Shia crescent” from Iran to Lebanon. However, the CENTCOM chief seemed to backtrack from the previous narrative about the war in Yemen being instigated by Iran, choosing to describe it as a civil war in which Iran intervened to harm its regional rival Saudi Arabia. 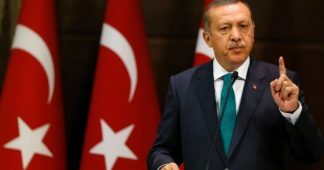 Intervention by the US-led coalition and “regional powers” – by which Votel presumably meant Turkey – has already “blocked Assad’s ability to recapture major portions of northern Syria,” the general said, referring to Syrian President Bashar Assad. He also talked about “ad-hoc democratic organizations” that have been established in territories liberated from IS by the SDF, which rely on US and coalition funding for survival. Continued funding would “help them maintain popular support and set conditions for enduring, stable governance,” said Votel. 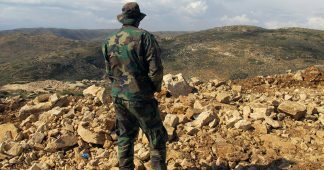 However, US efforts to work with the Kurds in northern Syria have been threatened by the recent Turkish military incursion into the Kurdish-held district of Afrin. While the Kurdish militia that are there are not part of the US-backed SDF, there are family and tribal ties between them. The CENTCOM chief also argued that Moscow and Tehran are seeking an end to the Syrian war because they are pouring “billions of dollars” in aid into Damascus. Yet, in the same hearing, he argued that Russia “has to admit it is not capable or that it doesn’t want to play a role in ending the Syrian conflict,” and that Moscow’s role was “incredibly destabilizing.” No explanation was offered for the discrepancy.